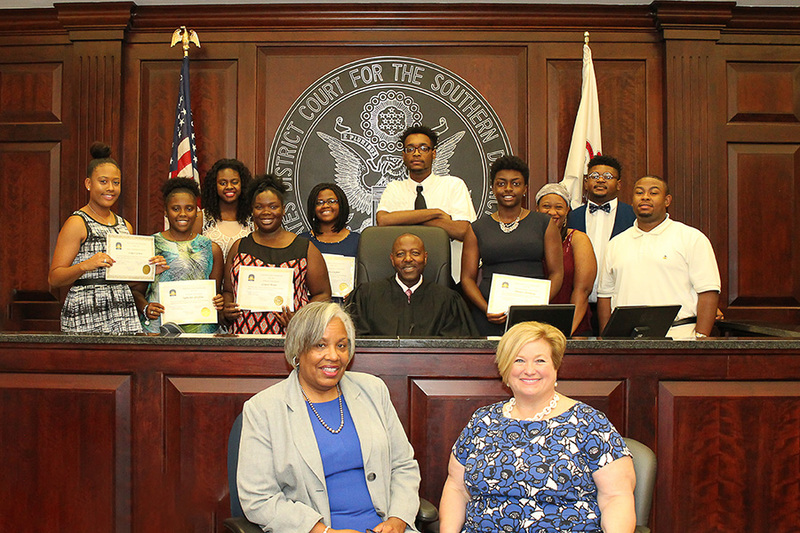 Ms. Haley, (seated) one of the founding Board Members of the Fund’s Scholarship Program and also retired Professor Emeritus, Southern Illinois University: Edwardsville, meets with some of the new 2017 scholarship recipients. 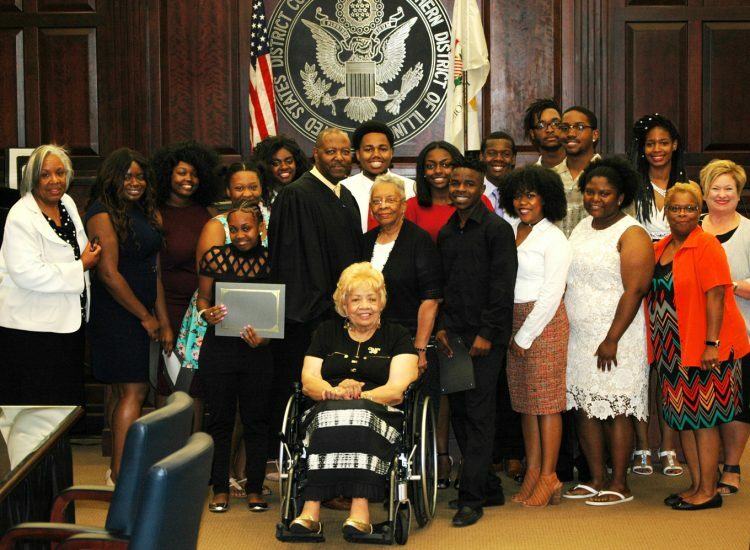 With some of the 2016 recipients are Judge Donald G. Wilkerson, Pamela R. Tucker Coaxum, MRP, Executive Director, and Julie A. Fix Meyer, GESLC President.